ASTM A 285/A283 Grade C Sheets and Plates, A285 Gr.C Boilers plates, ASME A 285 / A283 Grade C Sheets and Plates Pressure Vessel Steel Plate Exporters, Suppliers and Stockists in Mumbai, India. 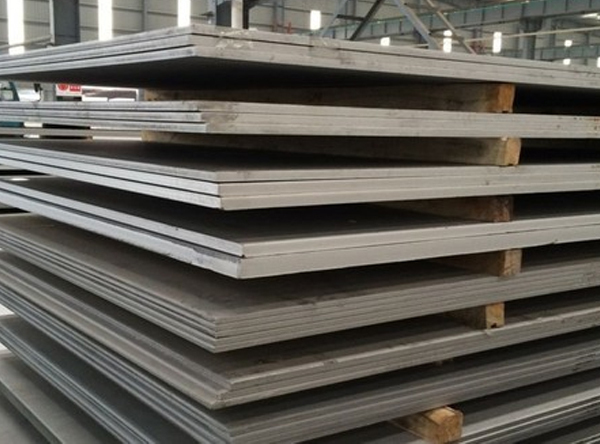 ASTM A 285 / A283 Grade C Sheets and Plates, ASME A 285 / A283 Grade C Sheets and Plates Pressure Vessel Steel Plate Exporters, Suppliers and Stockists in India. Rexton Steel & Alloys manufacturer, trades and supplies high quality ASTM A285 Grade C plates worldwide. We have developed products that are highly-reliable and provide amazing reliability in all kinds of use. We products these ASTM A 285 Grade C products that are effective at low pressure conditions, but can also be used in a variety of conditions. These products have intermediate to low yield strength. These properties make it usable in in structural, mechanical and other engineering purposes. The steel type is commonly used in standard Tanks and Boilers. The steel type also has good formability and weld-ability. Our ASTM A 285 Grade C steel is also used in the fabrication of Carbon steel pressure vessels. We deliver products that are available in customizable options to meet customer centric requirements. We deliver products to a range of industries, where they are used for various purposes effectively. Our products are checked for quality and durability. A285 Gr.C Boilers plates Stockholders, Grade C ASTM A285 Welded Steel Plates Dealer, ASME SA 285 Carbon Steel Low Tensile Strength Plates, ASTM A285 Grade C Steel Plates Distributors in Mumbai. We, at Rexton Steel & Alloys, develop and support quality and advancement and direct them in our items through nonstop endeavors and quality control. We benefit our clients a superior quality item profile, helping them to pick an appropriate one for their industry. We are an ISO 9001: 2015 affirmed organization, devoted to building and supporting client situated engagements. We are a maker, dealer, stockist, provider and exporter of ASTM 283 review C Plates which are Carbon Steel plates with normal quality reasonable for general auxiliary applications. We give overwhelming enterprises and oil refineries with our financial Carbon Steel plates. We keep a tab on showcase patterns and requests, to create new, reasonable and temperate items equipped for experiencing customization. We have fabricated a dependable arrangement of tough items over the many years.